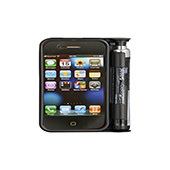 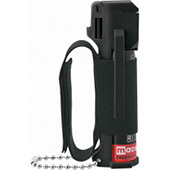 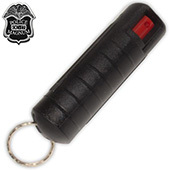 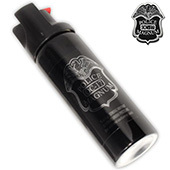 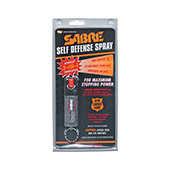 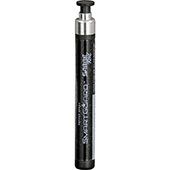 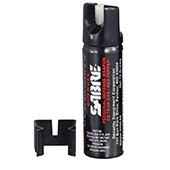 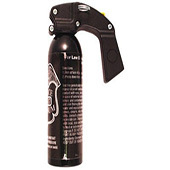 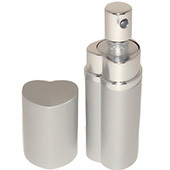 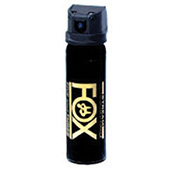 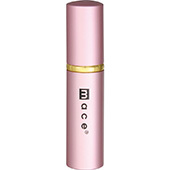 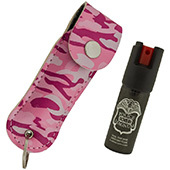 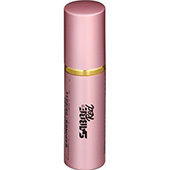 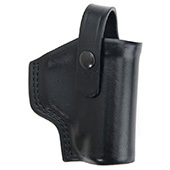 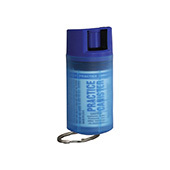 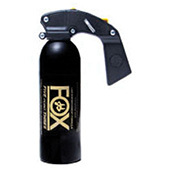 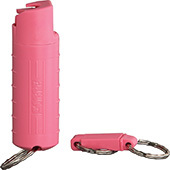 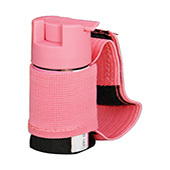 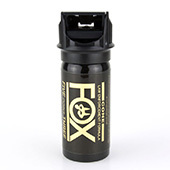 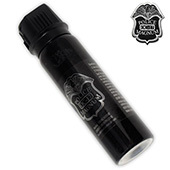 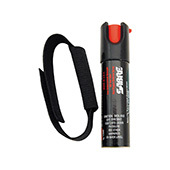 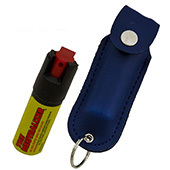 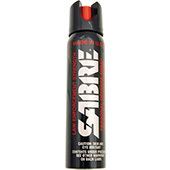 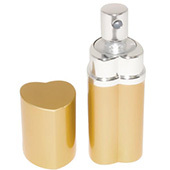 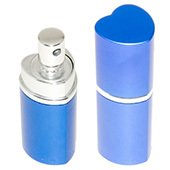 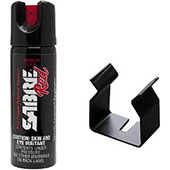 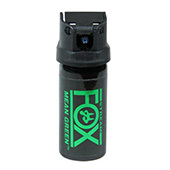 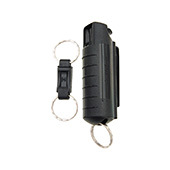 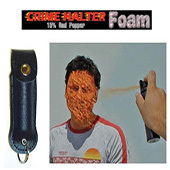 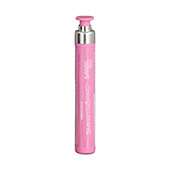 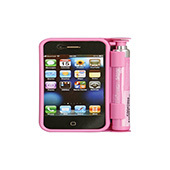 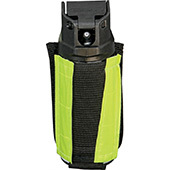 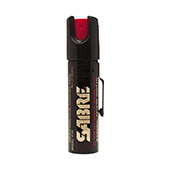 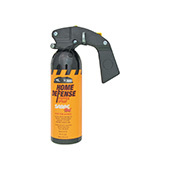 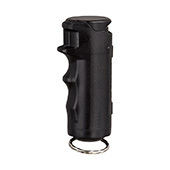 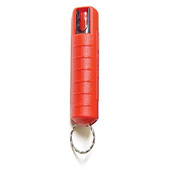 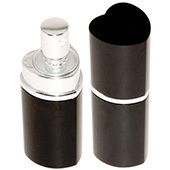 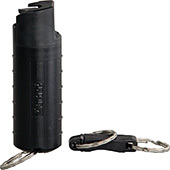 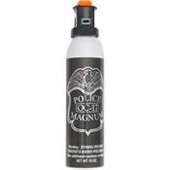 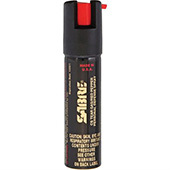 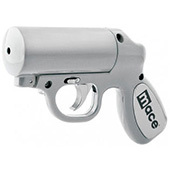 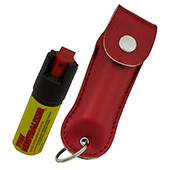 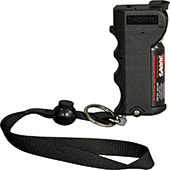 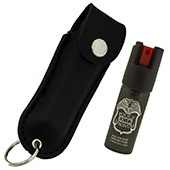 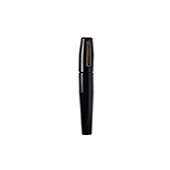 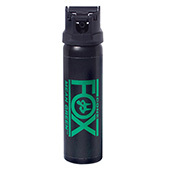 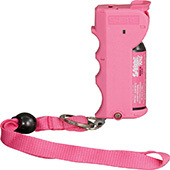 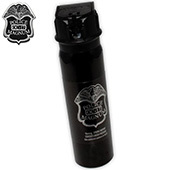 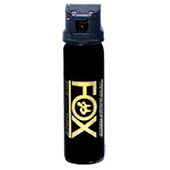 Pepper Spray is a Non-toxic, Non-flammable, Temporary-lasting self-defense spray that instantly overpowers an attacker. 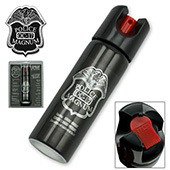 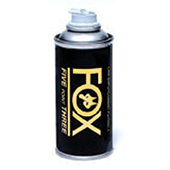 By merely spraying a person with pepper spray from a safe distance, the attacker is knocked to the ground and incapacitated with the effects lasting for 30 to 45 minutes. 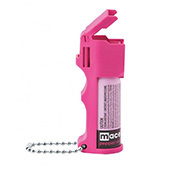 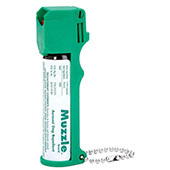 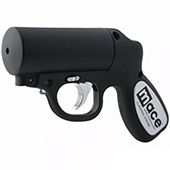 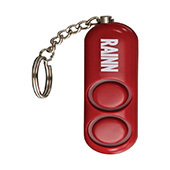 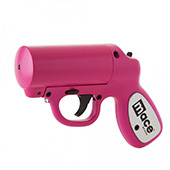 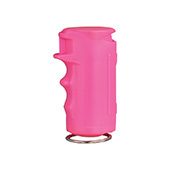 The pepper spray is designed to inflame the mucous membranes of the eyes, nose, throat and lungs causing a very painful burning sensation, continuous tearing, uncontrolled coughing, choking, nausea and disorientation. 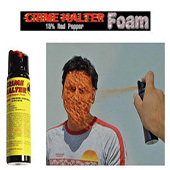 This IMMEDIATELY swells the veins in the eyes, causing the assailant's eyes to slam shut with temporary blindness and instant swelling of the breathing tube tissues, cutting off all but life support breathing. 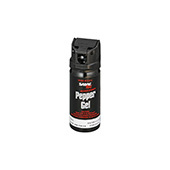 Pepper spray is powerfully effective, even against all those who feel no pain, such as psychotics, drunks and drug abusers. 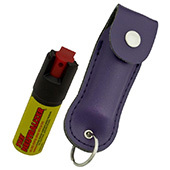 It doesn't matter if the assailant is large, strong or macho. 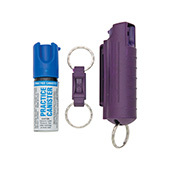 Getting subdued with pepper spray will put any criminal down --- helpless, struggling and totally impaired for up to a half hour or more. 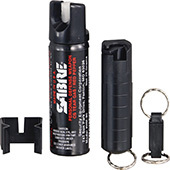 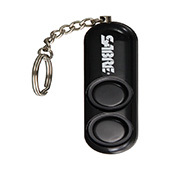 This will give you the time you need to escape and call the proper authorities and leave your attacker in a very agonizing dilemma. 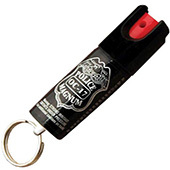 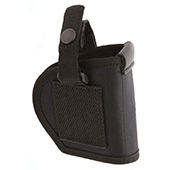 Pepper spray will not deteriorate with age if in storage, and it does not cause any after-effects. 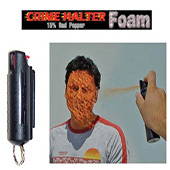 And since it is an inflammatory agent, it doesn't work like the irritant chemicals of tear gas or mace, and isn't vaporous or will not give off a lot of fumes like tear gases. 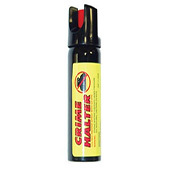 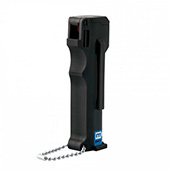 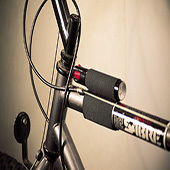 It has also proven itself as one of the absolute best deterrents against vicious dogs and for controlling wild animals. 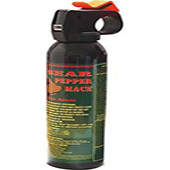 And actually, Yosemite National Park is now advising all visitors to bring pepper spray to protect themselves from bears.